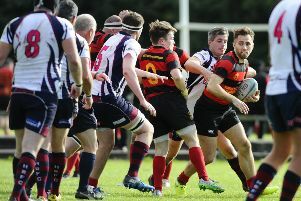 Grangemouth welcomed Llandybie back to Glensburgh last Friday to once again contest for the Alban Jenkins Shield. 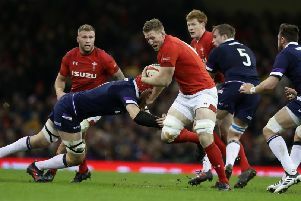 This fixture has been played annually since 1957 making it the longest running fixture between Scottish and Welsh clubs. 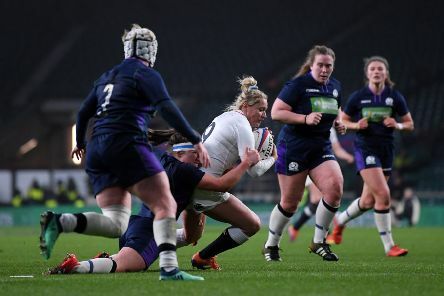 Scotland will play Wales in the latest instalment of the 6 Nations tournament on Saturday. 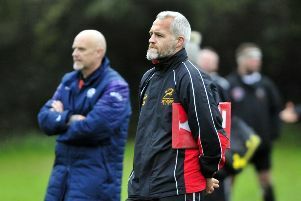 Grangemouth and Glenrothes couldn’t be separated on Saturday – confirming the thoughts of Stags’ coach Craig Deacons. It was back to league action for the Stags last Saturday as they made the short trip across the Forth to take on Dunfermline. A clinical performance from a very good Strathmore side overwhelmed Grangemouth Stags in the final on the Tennent’s Caledonian Shield. 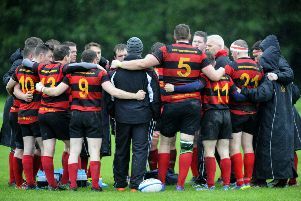 Grangemouth Stags are preparing to host Strathmore rugby club at Glensburgh, with silverware on the line. 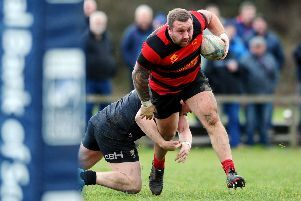 The Grangemouth Stags were dominated at home on Saturday as Dunfermline left Glensburgh with a deserved victory. 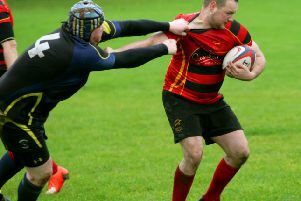 Grangemouth fought hard for this victory against a good Hillfoots side and moved third in the league. 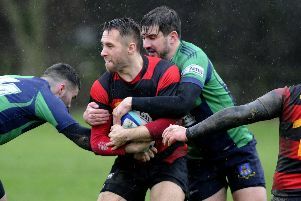 Grangemouth returned from their furthest away trip of the season on Saturday, at newly promoted Ellon, with a 30-22 victory. 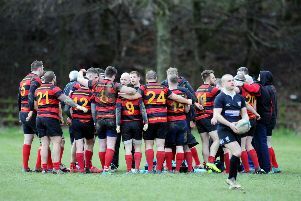 Grangemouth 1st XV were left without a game last Saturday as Crieff were unable to field a team for the latest league match. 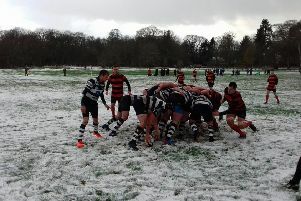 The next fixture is at home against Morgan on December 3 at 2pm. This was, as the scoreline suggests, a comprehensive victory for the Stags. Grangemouth dominated possesson and territory for most of the game. 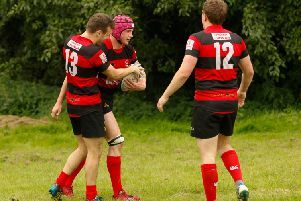 The forwards were on top in the set pieces while McNiff, McNab, Hind and Clark led the way at the breakdown. 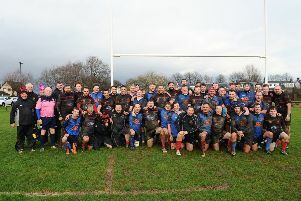 The Stags travelled to Cambuslang for their last pre season friendly match which was a good win for the Stags 29-31 against a good team. 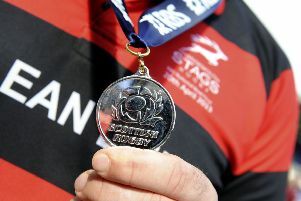 Grangemouth Stags announced the club’s new head coach at the festival of rugby on Saturday. 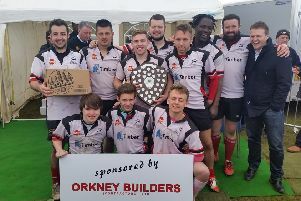 Grangemouth Stags made their usual trip north last Saturday to take part in the Orkney 7s and retained their shield.